The Caramel House is all about making the world a little happier place one mouth watering bite at a time. 1. 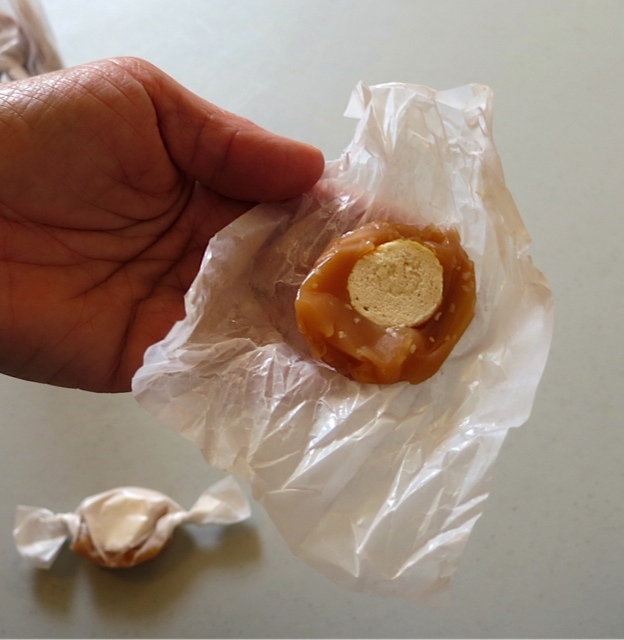 What led you to the mission of being a confectioner of handcrafted caramels? I was teaching and decided I wanted a better balance between my family and my work life. I asked myself three questions: What do I like to do? What do I know how to do that I like to do? What do I know how to do that I like to do that other people don’t like to do? I narrowed it down to cooking. There were restaurants that lacked delicious desserts, but I didn’t see the need for another bakery. I called some restaurants and asked if I could get into their kitchen. The Women’s Exchange said, “Yes.” They told me I could use their kitchen as a consigner and their retail space to sell my baking goods. They asked me if I would make caramel candy for them and I said, “Yes”, even though I had never made candy in my life. I went home, looked at recipes, and tried them out. I looked at my grandmother’s recipe. It didn’t make sense and it didn’t work. She had written it, but had left things out. I went online, into the library, into my own cookbooks, and researched all kinds of non-chocolate candy making. I experimented in small pots at the Women’s Exchange as well as at my own home. I would make careful notes and keep them like a science experiment. What I discovered is a caramel candy that doesn’t stick to your teeth. 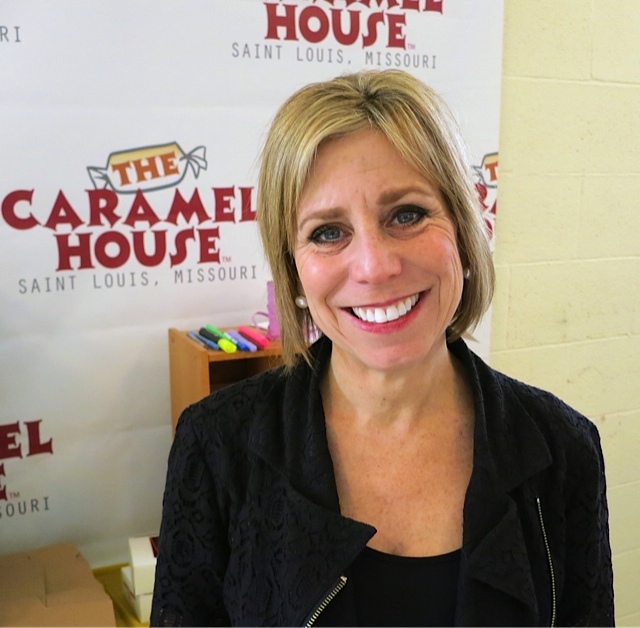 (Janet formed The Caramel House, St. Louis, Missouri.) I was using local ingredients. I noticed a niche for the candy, but didn’t have much confidence in it until right before Valentine’s Day. I got a positive review from George Mahe who people around here see as the maven of all food critics. He tasted them and called me on the phone. I ran some more over to his office. We briefly chatted and he wrote me up on St. Louis Magazine online. 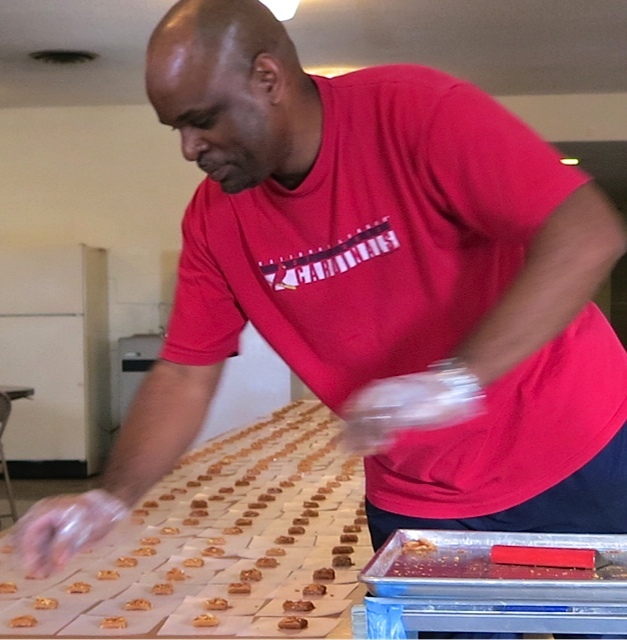 A few days later, an online magazine listed The Caramel House under St. Louis Best Desserts. At that point I wrote a website and my son put it on the web. On April fourth, two years ago, I got a phone call from Tim Ezell’s producer, Angel James. (Speaking of an angel, she really is!) She said, “Tomorrow, April fifth, is National Caramel Day. Would you be able to come on the station and cook for two hours in between the news?” I said, “Sure.” I’m a news junkie so I knew Tim Ezell really liked bacon. Bacon is one of my caramel flavors, so I cooked for two hours between the news. Tim would come back and forth to taste the caramels. It was pretty wild and a lot of fun. It was also my dad’s ninety-third birthday. So when I got home that day, I wished him a happy birthday and looked over my emails. There was one from Roger McElroy, a general manager at Straub’s. He had seen me on the Channel 2 News broadcast that day. He called me in and we worked on packaging and flavoring. One of the things he taught me is that if “Mrs. Smith” orders your candy this week and buys it, she expects to have the same quality, the same candy here next week. You have to have this consistency. You have to be able to deliver the goods and they have to be the same deliciousness. There was a lot discussion about follow through and being reliable. That conversation “stuck” with me (no pun intended). It means a lot. We brought a lot of “worlds” together — Dad’s Cookies, The Billy Goat Chip Company, Lochhead Vanilla, Gus’ Pretzels, Schlafly Beer, and Laumeier Lavender. We have a flavor that we do exclusively for a restaurant called River Bend. We use a small Missouri pecan orchard to create “naked turtles”. In some cities, different companies may not support each other. Here in St. Louis, they do. Schlafly has the Caramel House at their bottle house restaurant. Kathy Lochhead drops her gallons of vanilla off here and we put her logo on our label. The Billy Goad Chip Company helped me get into AgriMissouri and now we’re on their website. Each and every one of these companies makes the world a little smaller and a little nicer. Then there are the people that work here. I knew Sean’s mother and she is wonderful. Now her Sean works here and is getting his master’s at night. Nikki and I taught together. I met Dallas at a garage sale and he’s now our chef. Karen put together a shower and I could tell she was as brilliant as her parents. Karen is our director of marketing and her parents and I grew up together. The business brings the world into a smaller place and we support each other. 3. 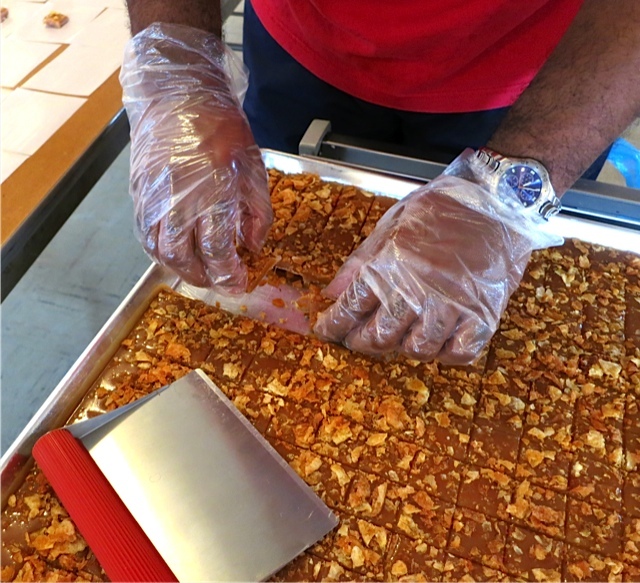 What was your best day as a confectioner? Every day is a great day. The day I convinced Nikki to come on board was the best day. The day Sean came on board was the best day. The day Karen decided to move back to St. Louis and work for the Caramel House was the best day. I like it when my kids and my husband have come through here. Those are great days. The thing about candy is everybody can have as much as they want. They might want it for caramel sauce, the holidays, or Thanksgiving dinner. They might say, “Can I bring some home for my mom?” I think candy makes everybody happy. Candy makes everybody smile. The other confectioners in town are really friendly and supportive. We are all really respectful. That’s what it’s all about: R-E-S-P-E-C-T.
4. What was your worst day as a confectioner? When I first started, the air conditioning failed twice and I had to throw out all the candy. Then one day I came in to work early. It was 100 degrees outside. There was a little sticker note that said, “I turned your A/C off from the outside because it looked like it was running really hard and freezing up. Your welcome.” I said, “Wow!” The air conditioner had already failed twice that summer and now someone had turned it off! I didn’t have to throw the candy out this time because he had evidently turned the air conditioning off right before I had gotten to work. I was by myself and I called my landlord. He said, “I don’t know who did that. It must have been one of the neighbors. The guy who wrote the note must have thought he was doing a good deed because nobody had occupied the building for a while. He probably thought he was going to save you some money on the A/C.” That was a very bad day. 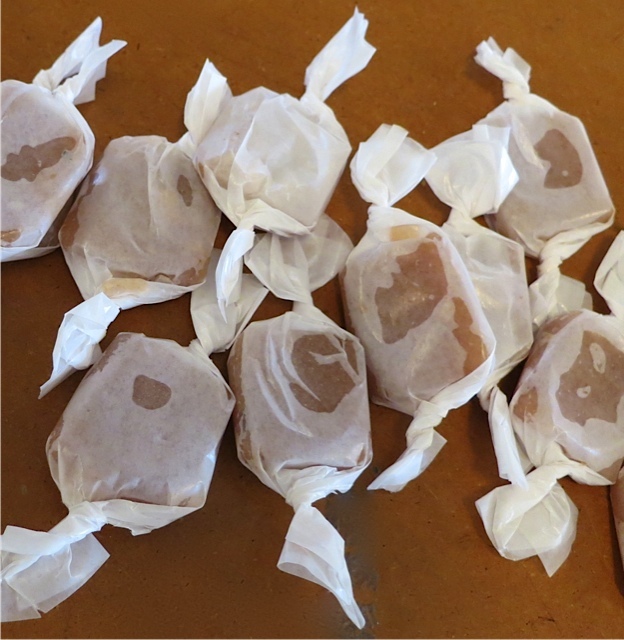 When the A/C breaks and you are making caramel candy, and it is over a 100 degrees outside — that’s a bad day. You have an obligation – as Roger said. There is a quality and follow through that requires an obligation – you step up to the plate. I had to throw the candy away and start over. I’m not doing heart surgery. Nobody died. We’re talking about candy here. Nobody’s life is in my hands! A sense of humor really helps — we’re talking about candy and candy is fun. If something doesn’t go well, or we need to step up our production – we call that a caramel emergency. Nikki makes it happen. Sean makes it happen. Dallas makes it happen. Karen makes it happen. But if it doesn’t happen, there is always tomorrow and you have to be able to reflect back while you are in the moment. The backstory is bringing the world closer together — whether it’s the industry of sweets and confections, adding the beer and the nuts, or putting in the lavender. 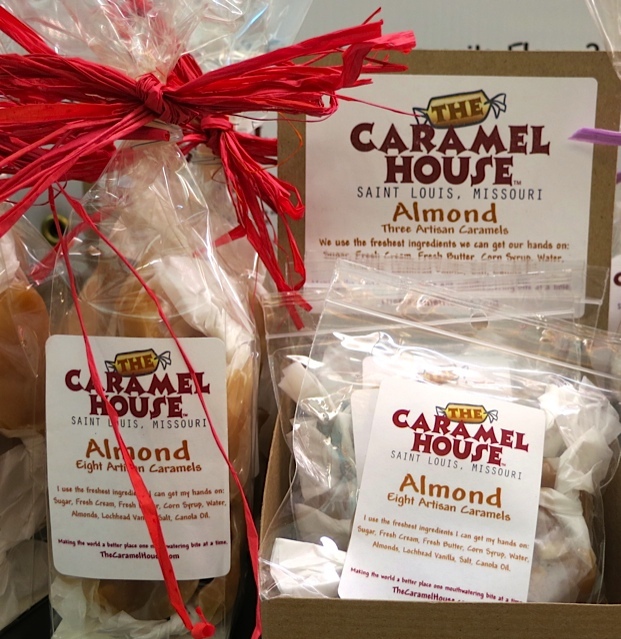 The Caramel House world is all about making the world a little happier place one mouth watering bite at a time.